Now that we have all the pieces setup, we can launch the campaign! To create a new campaign, navigate to the Campaigns page and click the "New Campaign" button. 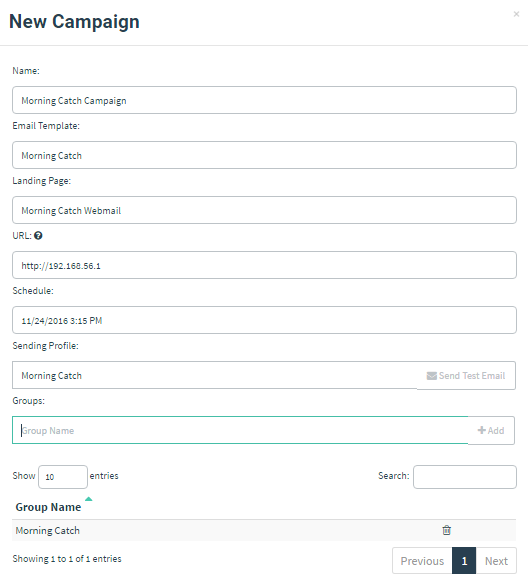 Once all the settings filled, click "Launch Campaign" to start sending the emails! 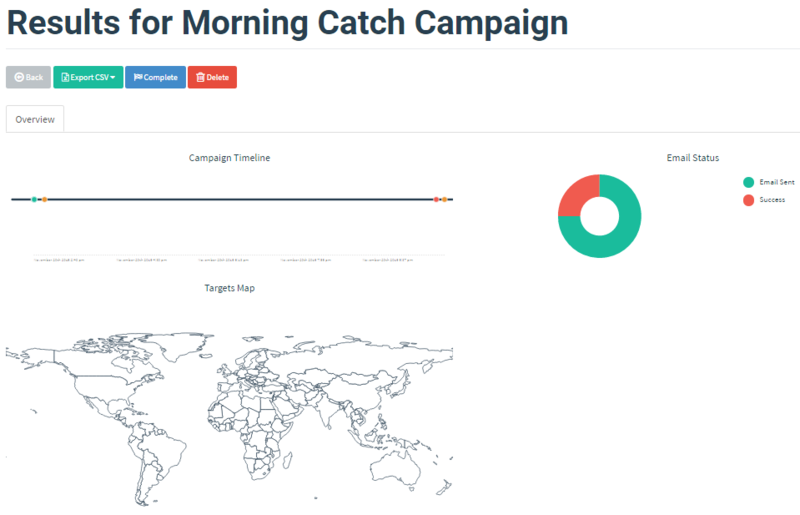 After launching the campaign, you will be automatically redirected to the campaign results page. This will give you a realtime view as emails are sent, opened, and links are clicked. Congrats on running your first campaign!